This was a particularly interesting project. 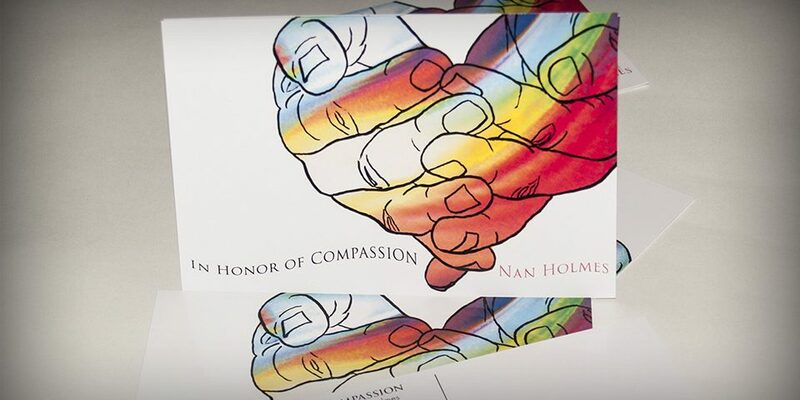 Artist Nan Holmes needed invitations for an art exhibit. The pieces centered around gestural hand illustrations she had created demonstrating specific movements that Tibetan monks would use in their daily meditations. What I did was take one of her hand gestures (which was originally sketched just like a black and white gestural drawing) and imbue it with a colorful “aura” I created.